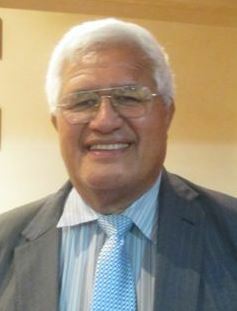 As the Elder Minister of the Congregational Christian Church, Pop Su'a oversees all the Churches in Porirua City, extending to Manawatu, Hawkes Bay and Taranaki Districts - eleven churches altogether. He is also the Chairperson of the Wellington Region Fellowship of Samoan Ministers, an interdenominational membership, who initiate the successful Pacific Trades Training Scholarship. The cultures of Samoa and New Zealand are completely different from one another, which creates problems when Samoan families emigrate to NZ. Speaking to members of Plimmerton Rotary on 6th May, Popo Su’a, who is head of the Congregational Christian Church of Samoa for the Lower North Island, explained that the difference in culture stemmed from the contrasting family arrangements in the two countries. “The fundamental element of Samoan culture is for each person to have respect for everyone else, and for each to know their role within their community.” Popo Su’a described the Samoan family as having a communal approach, likening it to a series of three “houses”, where the upper house contained the elders and chiefs of the village. It was their role to accumulate knowledge, provide leadership, exert authority and make important decisions. The second house comprised everyone else, with each person having their own defined roles and responsibilities. Their over-riding purpose was to serve other members of their community. The third house comprised the men who worked in the fields, and carrying out all of the hard manual work. The men also did most of the cooking. Samoan families had been coming to NZ since the 1950’s, mainly to enjoy what they perceived as better employment prospects and a better lifestyle. He said that too many young Samoan men were getting into trouble in New Zealand. “They see the freedom that young people enjoy here, and without the strong community bond of their Samoan culture, they tend to lose respect for themselves and for others”. John Sloan, member of the Rotary Club of Wellington Central, attended our meeting to introduce himself as the Assistant to the District Governor for next year, looking after our cluster of Johnsonville, Tawa, Porirua Sundown and Plimmerton Clubs. Honorary member Noel Evans also attended the meeting as Treasurer for Life Education Trust (Wellington North) to receive a cheque for $9000 – proceeds of our recent Book Fair. Chris Garrett reported to the membership about the Prime Minister’s Breakfast which is on Wednesday 28 May at the Hotel Intercontinental from 6.45 – 9am. Proceeds to Mary Potter Hospice. A board went around at the meeting to get indications of support and tickets required by club members. Corporate support is sought. John O’Connell reported that in a recent audit of the Rotary Youth Exchange programme the club came through with flying colours. Peter SInke still requires a couple of helpers for a non-physical exercise at his home, related to a paint test. Contact him on 238 2400 or 021 422 122. A milestone event for e-learning occurred on Monday night when the 1500th family to receive computer training was presented with a certificate and gifts. 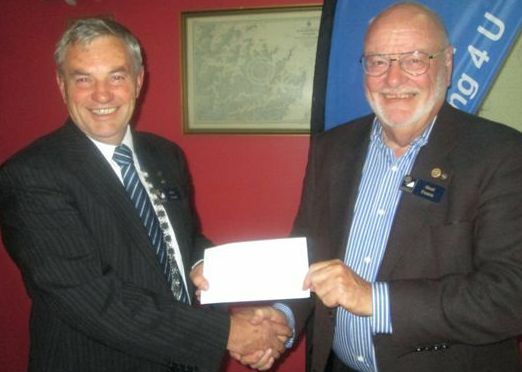 The Rotary Club of Plimmerton appears in several articles in print this month. In RDU (Rotary Down Under) on page 38 there is an article about the Taveuni, Fiji, project, and in the Whitby Newsbrief there are three items! No wonder we won a Public Image Award. Read the RDU article here. 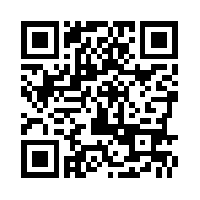 The Club website now has a QR code which will be used on items and in articles associated with it. Original generation time 1.2849 seconds. Cache Loaded in: 0.0345 seconds.